also comes the preparation of where visitors will stay in your home. that needs to be done in order to prepare for their arrival. Nobody wants a grumpy guest. Remember how you felt on vacation with fluffy pillows, comfy sheets and warm blankets? No matter what size the room, big or small, the one thing you can never compromise on is comfort. Even if your guests are sharing a corner office, you can still make them feel special with good quality sheets and pillows to make their bedtime peaceful and relaxing. Make sure there are blinds or curtains they can operate, to control both the light and privacy conditions. if they will have the luxury of a private bathroom. be simple yet special features that makes them feel welcome. If guests will be sharing a bathroom with other members of your family, decide ahead of time, how to properly plan for morning rush time so that guests no not feel like they are intruding on your daily routines. It's the little things in life that matter most. 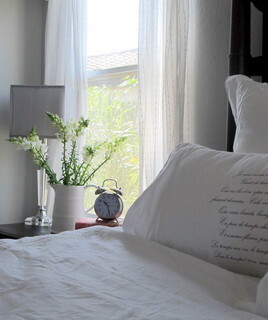 Along with that vase of fresh flowers or holiday greens, think of the convenience and sentiment a corner table in the guest room with a small coffee maker that guests can wake up to would be. of night dry throat that winter time brings. Find out what your guest might need during their stay, for late night or early mornings, so they can feel at home. The Holidays are a special time of celebration, remembering old times, while creating new with family and friends. So some the holidays can even mean a time of relaxation. 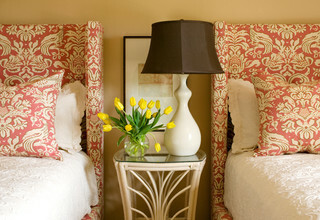 Allow your guests to snuggle up with a special book or old family photo album placed in their room. there are games, puzzles, movies, etc to occupy their busy brains and fingers. a time that passes by quickly, especially when those we love and cherish are many times only able to visit and share with at holidays and special occasions. Take the time to plan, prepare and make it special, not just for them, but for everyone including you and your own family, to lessen the stress and increase the good times and love that the Holidays are really about.